Hello, we can grind down your tree stumps cheaper than anyone almost really. We also cut trees. 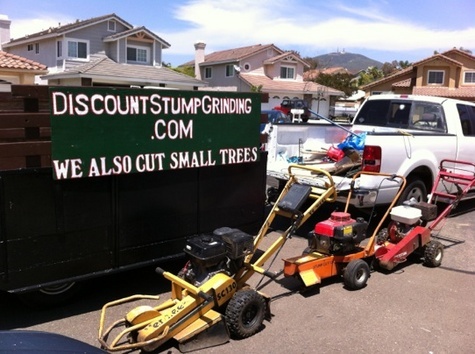 We work all over San Diego and more, and if you want a free estimate, just snap a picture with your cell phone, and text it to me at 858-997-7062, and include a soda can on your stump so I can easily figure out the size from the can and give you a good price over the internet. Thank you.